Northwest Oregon's major fruit crops are apples and pears, since this region receives cold winter weather that can harm sensitive trees. Plums and peaches can be grown in northwest Oregon but are not very common. Gardeners wishing to plant fruit trees should choose one of the recommended cultivars, which have proven success in northwest Oregon. Oregon's northwest corner is an excellent spot to grow cold-hardy pears such as Bosc, Bartlett or D'Anjou pears. Oregon is also a good place to grow Asian pears (Pyrus pyrifolia), which taste like a pear but have the crisp texture of an apple. 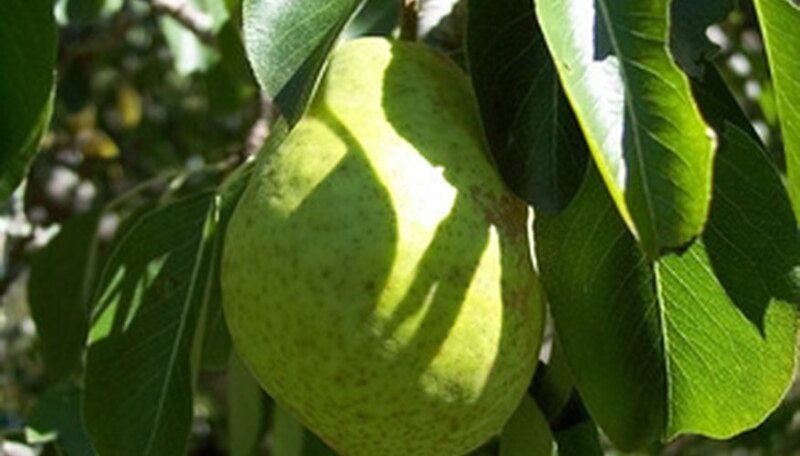 Many pear trees require cross-pollination from another type of pear; Bartlett pears do not require cross-pollination so are a good variety for home growers. Pear trees perform best on soil with a pH of 6 to 7 and in full sun. Sweet cherries grow well in the Pacific Northwest, especially in the western regions of Oregon and Washington states. Cherries perform best in full sun. 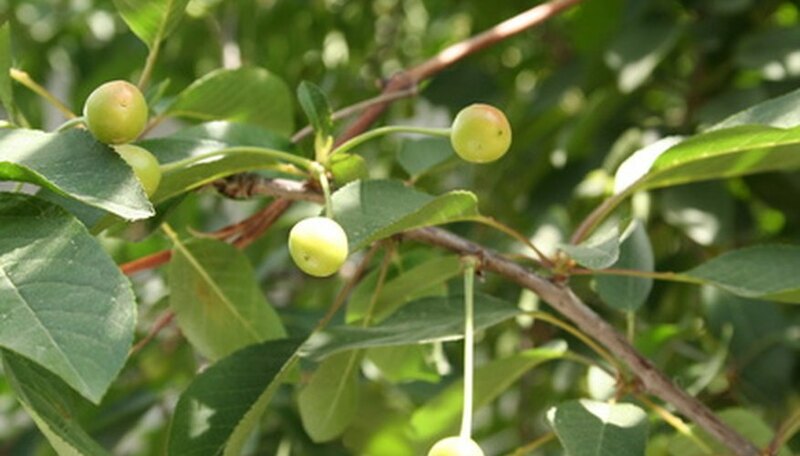 All cherry varieties except for Stella require cross-pollination. According to Oregon State University, Royal Ann, Corum, Bada, Bing, Rainier, Lambert and Lapins can be grown in Oregon. Cherry fruits can crack if they receive too much moisture, especially Bing, Rainer and Lambert cherries. Apples are the most cold hardy fruit tree and perform very well in Oregon. Oregon gardeners can plant many heirloom apple cultivars, including Spartan, Spitzenburg, Winter Banana, Red Wealthy and King, plus more common apples like Gala, Golden Delicious and Fuji. 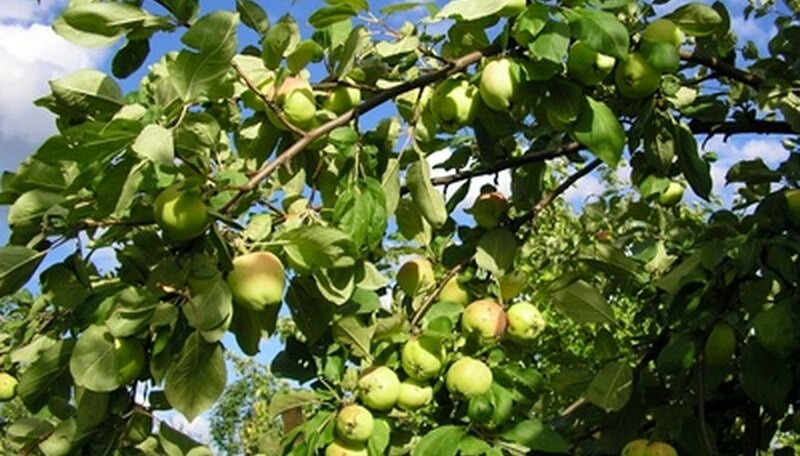 Apple trees need full sun and well-draining soil and perform best in soil with a pH of 6.5.